Are you looking for a permanent place on the West Side of Calgary to call home? Aspen Woods may be just the location! Known to be an upscale community just outside of Calgary's western city limits, you still have the convenience of getting downtown in a quick 20 minutes! First established in 2001, it was then just some semi-rural land, with acreages and hobby farms characterizing its landscape. Broadcast Hill is the site of some of the most dramatic and sweeping views of Springbank and the beautiful mountains behind it. Strathcona, Springbank Hill, West Springs, and Cougar Ridge are all included in the nearby neighborhoods. You'll be able to enjoy the benefits of quiet gleaned with a healthy distance from the busiest traffic arteries, with the ability to still be connected to roads such as Bow Trail and 17 Ave SW. Many Aspen Woods residents are high net-worth individuals with an average median income twice the city average. Real estate prices run from just under $1 million upwards of $5 million with a record-setting $25 million property once listed for sale in this luxury neighbourhood. Lots are still available, many with mountain views, in this emerging community. It’s a quiet neighbourhood, far from some of Calgary’s busiest traffic arteries yet well-connected to roads such as Bow Trail and 17 Ave SW which take city commuters downtown in less than half an hour. We are proud of living in a scenic location where the Bow and Elbow rivers meet, and along with first-class scenery like this, many golfers get anxious to get their hands on the respective local goods. Glencoe, Elbow Springs, and Pinebrook are all just minutes away from here, offering anyone with a hankering to improve their swing unlimited opportunity. If you feel that life hasn't been quite tranquil enough as of late, you'll appreciate the areas natural groves of aspen and ravines, and just how easy it is to cycle or walk to grab your own slice of prime Alberta essence. It may be barreling down a challenging mountain bike trail, or getting some icy turns in on an Olympic-size hockey rink: you'll find many different thrill-seeker's desires quickly satisfied here. Winsport Canada Olympic Park is just north of this up-and-coming housing development, and you can also zipline, bobsled, or luge within its confines. Inspired by the areas natural groves of aspen and natural ravines, Aspen Woods has many playgrounds and sports fields for active families connected by walking trails and cycle paths. Harmony with Mother Nature’s landscape is reflected in the wonderful landscaping in public spaces in Aspen Woods along boulevards and around commercial centres like Aspen Landing, a full-service shopping plaza with a great breakfast place, coffee shops, high-end dining, organic foods, fashion boutiques and medical services. Families love the nearby Westside Rec Centre which is also next door to a new LRT station with quick service to downtown Calgary. Winsport Canada Olympic Park is just north of Aspen Woods and offers a host of year-round activities you won’t find anywhere else in the city. Activities include downhill and cross-country skiing, luge and bobsled or ziplining. There are Olympic-sized hockey rinks and plenty of challenging mountain bike trails. One of the advantages of living on Calgary’s western edge, is that golf enthusiasts are just minutes away from three of the area’s finest golf courses; Glencoe, Pinebrook and Elbow Springs. Nearby Highway 8 runs through the adjacent community of Springbank which also connects with the Trans-Canada west to the mountains. With a population of 8,000 people, good schools are essential. Aspen Woods has great public and separate schools, such as Aspen Woods Elementary School, Olympic Heights, the new Dr. Roberta Bondar School, Ernest Manning Senior High School, St. Michael, St. Joan of Arc School. 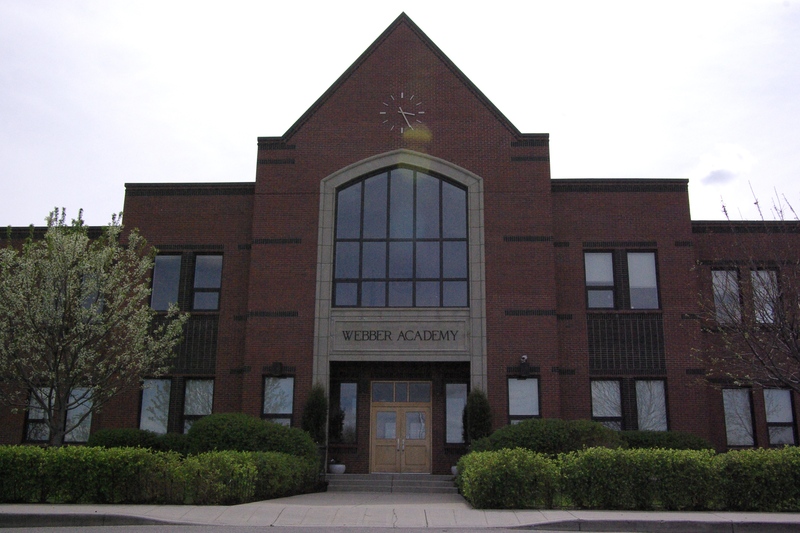 Some of Calgary’s most revered and respected private schools surround Aspen Woods, such as Webber Academy, Rundle College and Calgary Academy. There are also future school sites within the community to meet the needs of our students of tomorrow. 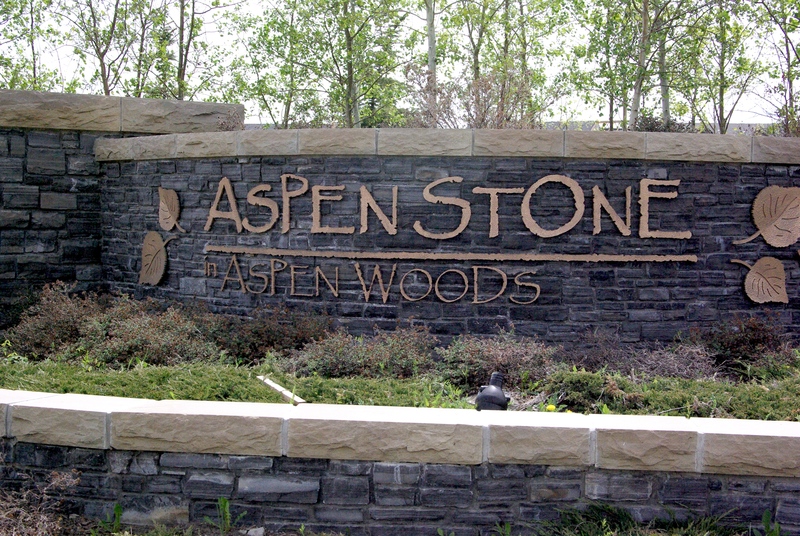 The Aspen Woods community is 80% single-family homes with a smaller percentage of townhouses and apartment buildings available for condo buyers. The average size of a home in Aspen Woods is 2,700 square feet and lot sizes are variable. 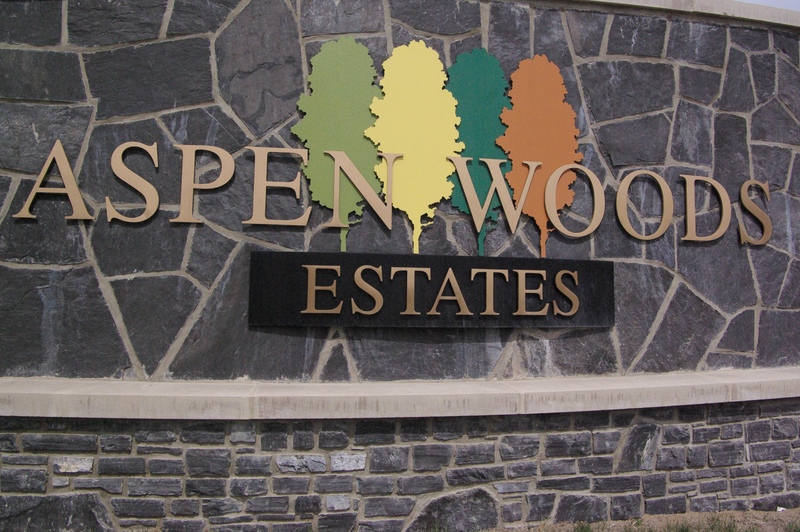 The first new homes in Aspen Woods were built in 2004 with Calgary’s premier luxury home builders still active in the neighbourhood. Developers went to great lengths to preserve the native trees and natural wetland areas of Aspen Woods so many homes back onto wooded areas and green space. Custom-built estate homes and classic Craftsman architecture are the hallmarks of Aspen Woods real estate. Homes in Aspen Woods offer front-drive double and often triple garages. If you are considering a sale or purchase in Aspen Woods - we can help. We have been living, working in Aspen Woods for the past 2 decades. We know the community and welcome the opportunity to work with you. Contact us today.